yourself, just enter what you're looking for and off you go! choice, so you won't find ARJs in ZIPs etc. on Twilight. games should be ZIPped or not. We decided to do both! decide to put one on the CD. When do we do this? þ The program should have an extreme appeal to a lot of people, i.e. þ The full version won't be out for a long time. note though, that we did NOT check any of these files! can also view this file from the menu by selecting "View Various List". an entire collection of MR-BIOSes for virtually every mainboard around. We put the themes in VARIOUSTHEMES and the MR-BIOSes in VARIOUSMR_BIOS. The Twilight Installer enables you to easily select and unpack a program. find topics like keys to use, multi-CD support and things like that. release by pushing the appropriate release-number, i.e. 2.
this topic, take a look at the help system. pushing F1 from the Installer's main screen. 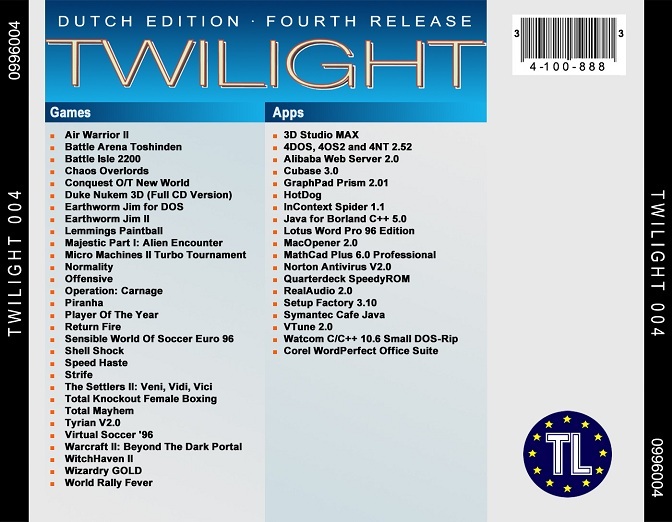 releases of Twilight, you must have installed the Installer to your harddisk. 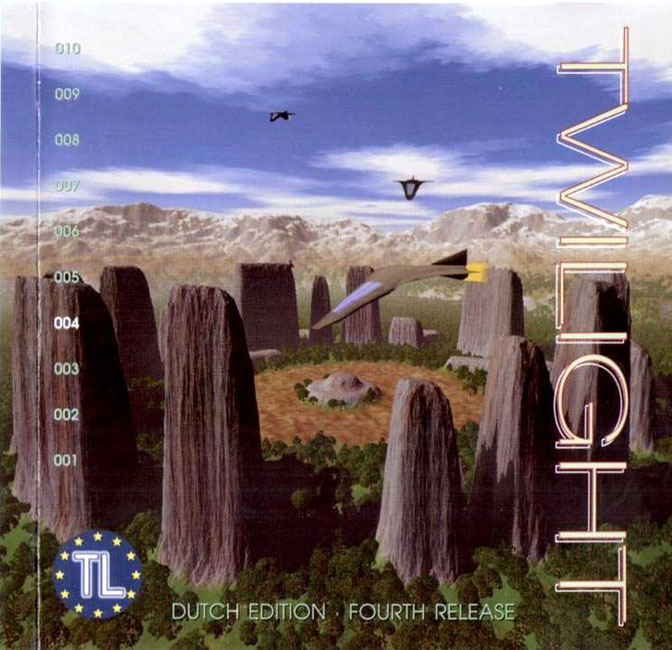 Twilight specifying the directory. So if you installed the files to e.g. doesn't make a difference what release is currently in your CD-ROM drive. NOT be used anymore; Please re-install all files to your harddisk. ³  NOT ENOUGH FREE DISKSPACE? diskspace a common installation of that program will take up. free-diskspace-checking, push Control-Enter instead of Enter. fault but the programmers of the game's problem! some advice if you cannot get a program to work. got 4 doesn't make sense. þ Try increasing the FILES= statement in your CONFIG.SYS. þ If you're using Windows, put the Windows-directory in your path. þ Change memory-managers. Change QEMM to EMM386 and vice versa. memory, or they cause a conflict. þ If a network is not required, disable it. you have to set the parameters manually. þ Missing DLLs or incomplete installations. Also try tuning your .INI-files if you're using Win3.X. So switch off those machines, and enjoy the sun! Enjoy the sun, and we'll see you soon again! XF-LW50.ZIP LightWave 3D V5.0B From NewTek Inc.
these, though. Read VARIOUSTHEMESTHEMES.LST for a list of all themes.